This week we've been getting glimpses of the upcoming Ultra Drop, which is Carbine for major content release, called The Strain. With what is hopefully heavily influenced by B-rated horror and sci-fi movies, The Strain is the tale of a viral anomaly that is beginning to spread across Nexus. 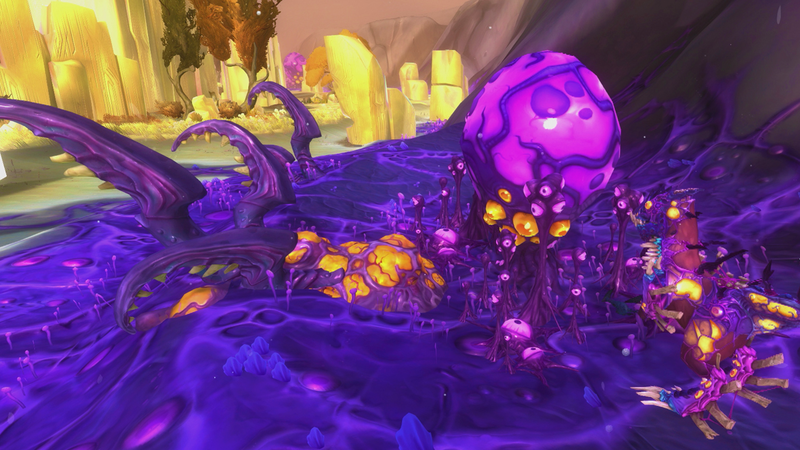 With this Ultra Drop, we'll see two new zones, new housing goods, and one packed update full of content. Maybe I'll get a goat...er, rowsdower, even if it is infected. Earlier this week, details regarding the two zones that will come with The Strain were released. First up is Blighthaven. The level span for the zone isn't currently known, but it does have several micro-ecosystems within it, including a swamp full of goopy abominations and a resistant brain known as the Globellum. Blighthaven is considered a diseased wasteland, which houses the secrets of Genesis Prime's creation, which is no doubt an integral part of The Strain's storyline. Northern Wastes, which continues the Northern Wilds saga in addition to The Strain's, is for max level players and begins from when you were last in the zone. As the two factions are busy duking it out with one another, an accident from an ancient Eldan Exo-lab leaks out and adds a new threat to the mix. With this new danger added to the mix, players can expect a whole new slew of content to work through, all while fighting a whole new assortment of biologically mutated enemies. Today, housing and customization reveals were shown to us, letting us see what sort of gruesome and “stylishly disgusting” items we have to look forward to. The categories alone (“stabby chic,” “horrifyingly elegant,” and “more assorted gross”) have me daydreaming about how I'm redoing everything for my housing plot. 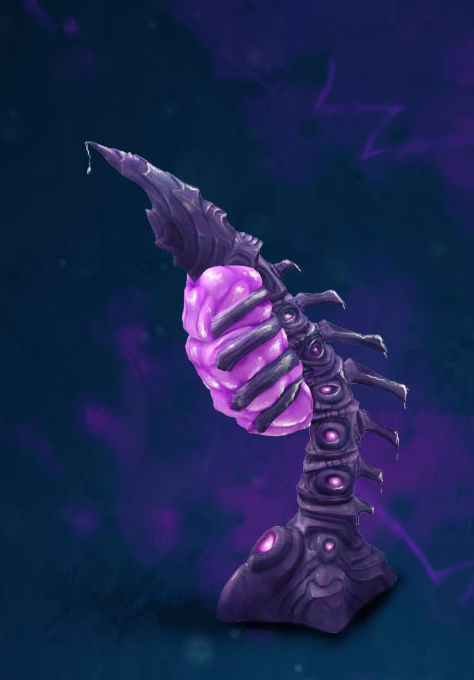 Also included in the Ultra Drop is the Phage Form Lab, which promises to be as educational as it is gross. This is one of the two new plugs that Carbine has released. The other is Strainman, a carnivorous hole in the ground for your plot, which is being called the “unwelcome mat”. Lastly, we now know that there will be a collectable six-piece costume of “rot couture” to find. New dyes will be available, too, in Strain purple, orange and blue. There are also two new mounts, the eyeball encrusted hoverboard and some monstrous mutant beast and it looks simply amazing. 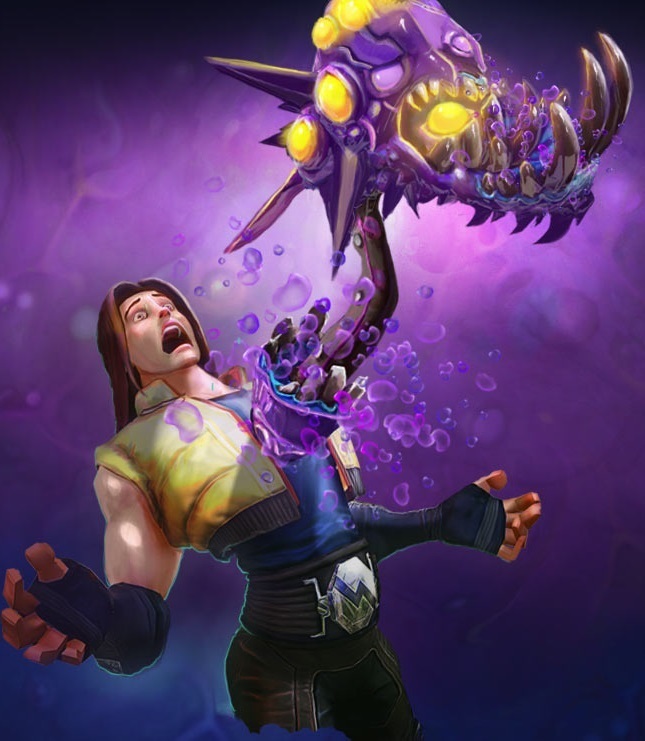 Best of all is probably the new emote, which has an eyeball tentacle explode from your chest in original Alien fashion, which then flails about wildly, all before settling back into your chest like nothing ever happened. Up next, we have a Dev Speak to look forward to on Monday, which will let us see what more Carbine has in store for us. 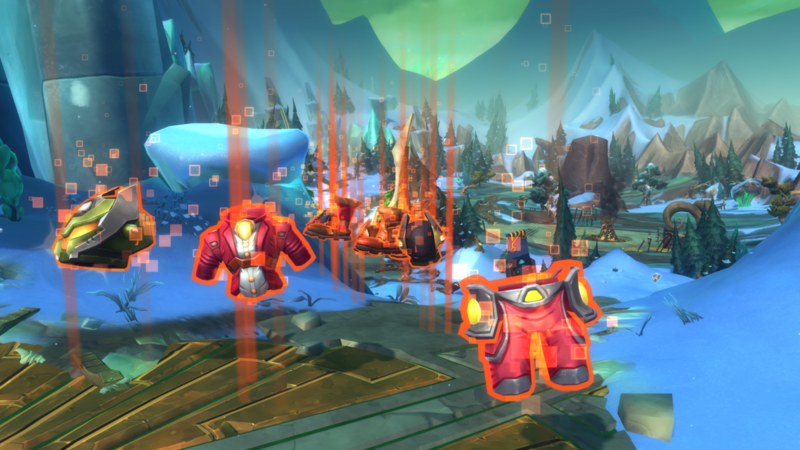 The launch of WildStar was pretty smooth as far as MMO launches go, so let's see if they can keep it up with their first major content patch. For more information (or just more pictures of things with eyeballs), see The Strain Ultra Drop page.